When seeking out a unique luxury timepiece, where do you start your search? Switzerland? The wrist of James Bond? Or … Kansas City? Yes, Kansas City. Because the land of BBQ and jazz is also home to NIALL, an upstart watchmaking company that manufactures everything in the U.S. — except for, of course, the time-honored Swiss movement. The name is an anagram of “all in,” which is how they approach their products: great service and timely repairs, as well as details to rival all the European mainstays. Another part of their plan: a limited-edition collection that pays homage to American sports lore. Like The ALL IN | Legacy Edition, out today. On the face, the ALL IN resembles NIALL’s other timepieces, but flip it over to reveal “Play Like A Champion Today” — the storied motto of Notre Dame football — engaved on the caseback. The watch follows previous special editions honoring Kansas Basketball (the Fieldhouse Blue) and the Kansas City Royals’ 2015 World Series win (the sold-out Blue October). And he did the program proud. Under the motto is an excerpt from the first article about the Four Horsemen, Knute Rockne’s golden boys who allowed only two losses in three years. The dial also features a micro-inscription of four hidden horsemen and a repeating three-leaf shamrock pattern. And on the technical side: a 65-hour power reserve and the automatic Eterna Caliber 39 movement, here modified to accommodate a winding rotor and sweeping-seconds sub-dial at 9 o’clock. Only 418 have been produced in stainless steel (4 for the horsemen, 18 for the hash marks in the school’s end zone). 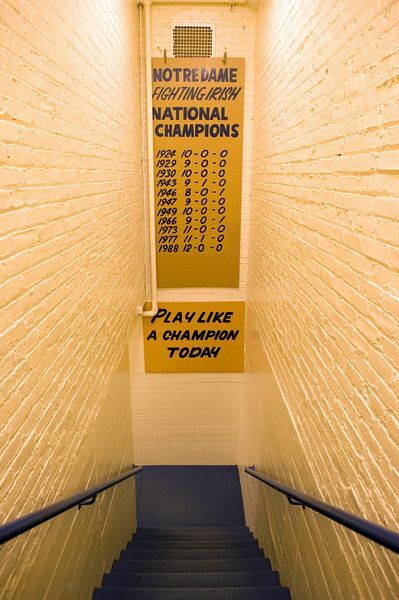 But for Fighting Irish diehards, there are also 11 “Championship” editions with serial numbers commemorating their 11 official national championships. Officially launching on Friday, we’re bringing you the first images of the coveted timepiece. If you pick one up now, you won’t only hold a verified piece of Notre Dame sporting history — you’ll also be wearing the revival of luxury American watchmaking.